Six Maltese short-films will be screened on Monday 4th February 2019 at Clermont-Ferrand International Short Film Festival, the largest festival of its kind in the world. The selection showing at the Short Film Market of the festival includes the world-premiere of Ir-Raġel tal-Klieb by Samuel Sultana adapted from a short story by the acclaimed Maltese writer Oliver Friggieri. The other films are Bajtra tax-Xewk by Alex Camilleri, previously selected for Toronto Film Festival for Kids and Valletta Film Festival 2017; Il-Kompliċi by Ryan Gatt adapted from the short story of the same name by Walid Nabhan selected for Valletta Film Festival 2018; Arcadia by Jamie Vella, also selected for Valletta Film Festival 2017; Eleanor’s Forest a short animation by Matthew Stroud and the short-documentary From Malta to Motor City by Charlie Cauchi that premiered at the Valletta Film Festival 2018. The films were selected by Film Grain Foundation following a public call. The screening will be attended by several film buyers, distrbutors and sales agents. Most of the selected filmmakers will be present for the screening and will attend meetings with potenital buyers and distirbutors. Clermont-Ferrand International Short-Film Festival exhibits annually over 600 films and is attended by over 160,000 attendees and 3,500 professionals. Film Grain Foundation is the national co-ordinator of Euro-Connection an intiative of the Clermont-Ferrand International Short-Film Festival that provides possibility to filmmakers to pitch their projects to financiers and production companies. Perpetual Child, the forthcoming film by Stephanie Sant (Camilla) was the first ever Maltese film to participate in Euro-Connection in 2018. The screening of Maltese short-films is supported by Arts Council Malta through the Cultural Export Fund – Strand 2: Presentation & Touring. 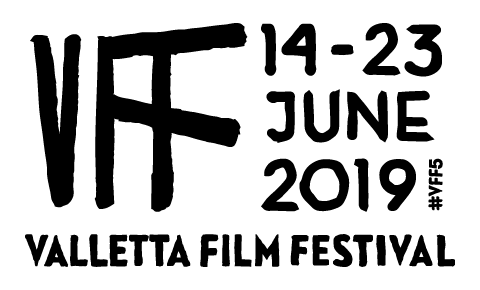 Copyright 2019 Valletta Film Festival. All rights reserved. Creating an account with https://www.vallettafilmfestival.com gives you access to more features and services, like our newsletter and other special features just for the film community.